Traditional apple pie with a sweet tart twist. Raspberries are folded in with the fresh apples and spices to make my favorite pie filling. 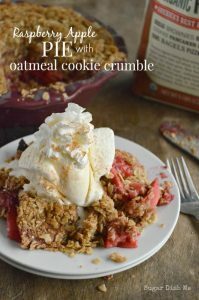 Covered with a buttery oatmeal cookie crumble on top, this Raspberry Apple Pie with Oatmeal Cookie Crumble is one of my all-time favorites. Because the end is pie. Can you even believe I made you an actual pie?! Not Pie Bites. Or Hand Pie. Or Pie Ice Cream. This is straight up delicious and traditional PIE. Raspberry Apple Pie!!! And then I got all crazy and topped it with oatmeal cookies. Double whammy desserts are best, right? Also pie gets ice cream so we are all-around winning on this Monday morning. Once upon a time there was a lovely princess I am so sorry. We watched Shrek last night. Let me start again. Awhile back I worked in this little family restaurant in upstate New York. I was a waitress, not a princess. The restaurant served local fare – namely things like Chicken and Greens Sandwiches and delicious pasta dishes – but also pie. Not just any old pie either. It was seriously the best pie I have ever ordered anywhere. It was made daily by this little lady who was basically like the fairy godmother of all the pie. She had a pie kitchen in the back of the commercial kitchen where all the rest of the food was prepared. She baked in the mornings and if you were working the lunch shift, you had the pleasure of warm pie smells wafting past while you made coffee or trayed-up salads. It was that pie aroma voodoo that happens in cartoons. Caramel apple, coconut cream, strawberry rhubarb — they were all awesome. But my favorite (and the one that nearly always sold out before I was done working so it was like my pie unicorn) was the Raspberry Apple Pie. She only made it on Monday. It had this amazing crumbly topping instead of a double crust. I had to try and replicate it since it has been in my brain for every bit of 11 years. Remember earlier this year when I made this Mixed Berry Cobbler? Well one of my most favorite parts was the earthy deliciousness that the whole wheat flour in the crust had. It’s kind of robust and full-flavored with vitamins, minerals, and protein. I knew I wanted that to be a part of this pie. 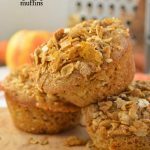 Bob’s Red Mill is reliably my most favorite source for whole grains in my kitchen. It’s the quinoa I buy, as well as the polenta and barley. This Stone Ground Organic Whole Wheat Flour is stone ground from organic hard red wheat, so it still has all the nutritious bran and germ in tact. Nothing is lost in the grinding process. Paired with oats and BUTTER and brown sugar, the oatmeal cookie crumble on top of this pie is like… I mean it’s basically like the best oatmeal cookies you ever had. I used Dorothy Kern’s favorite all-butter pie crust recipe for the crust, and for a little boost I swapped 1/4 cup of the all purpose flour for this Stone Ground Whole Wheat. It was perfect. In case you are wondering, it IS possible to slice this pie without making a huge mess. If you let it cool completely then you will get nice even slices. But I am impatient and try to a) cut warm pie and b) will definitely skip the slices and eat it from the pan with a fork. Plus I knew we were gonna smash this up with ice cream so it’s all good. Delicious, sweet, tart Raspberry Apple Pie covered in the best buttery rich Oatmeal Cookie Crumble made with whole wheat flour. Preheat the oven to 375°F and lower the oven rack just below the center position. Place/press your pie crust into the pie plate and refrigerate until you are ready to fill it. Put the apples in a large bowl and toss with the lemon juice. In a smaller bowl whisk together the flour, lemon zest, sugar, nutmeg, cinnamon, kosher salt, and all spice. Pour the dry mix over the apples and toss to coat. Fold in the raspberries. 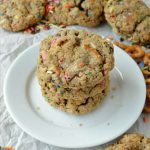 Make the oatmeal cookie crumble by mixing together the oats, brown sugar, Organic Stone Ground Whole Wheat Flour, cinnamon, and kosher salt. Use a box grater to add the butter to the bowl and mix it in with your fingers until coarse crumbles are formed. Sprinkle the crumbles over the top of the pie. This makes a lot so I will kind of gently press the oatmeal cookie crumbles down a little before adding the rest. It forms a crust that is unbelievable. Bake for 45- 50 minutes, until the raspberry apple filling is bubbly and the crumble topping is golden. Let the pie cool before slicing (or just skip the slices and eat it with a fork. No judgement here). 1. 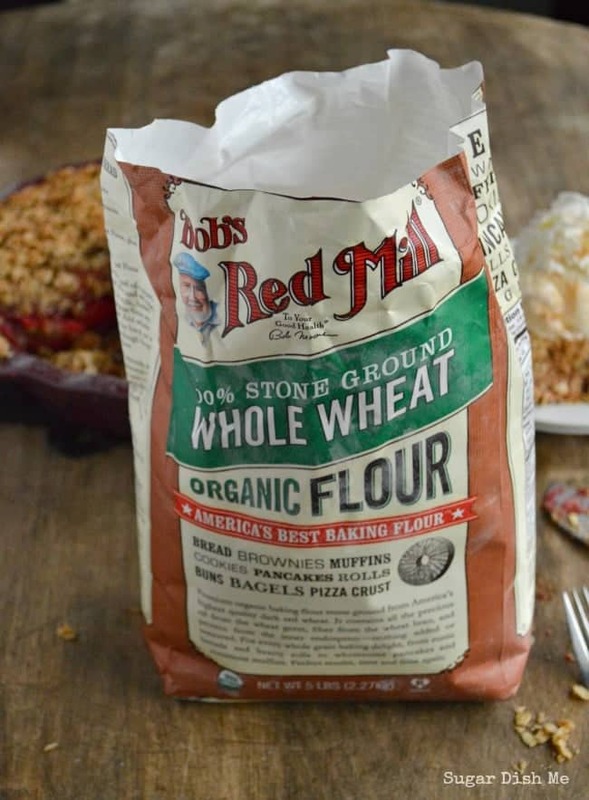 If you use a homemade pie crust recipe, try swapping ¼ cup of the all purpose flour for ¼ cup of the Bob's Red Mill Organic Stone Ground Whole Wheat Flour. I think I did my pie fairy godmother justice. You be the judge. CLICK HERE for more of my favorite Thanksgiving Recipes! 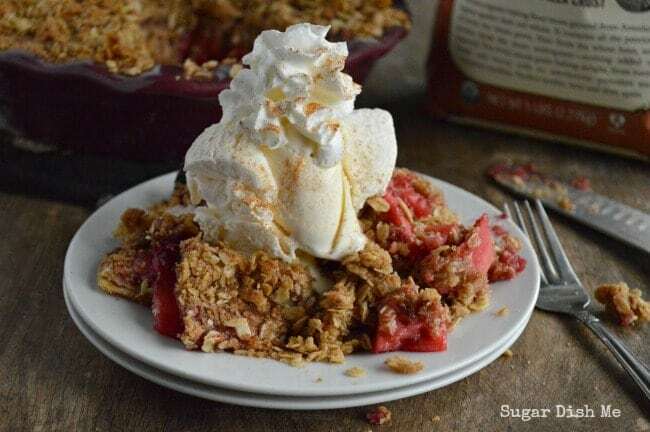 What a great twist on apple pie! The addition of raspberries sounds just lovely, and that oatmeal cookie crumble looks amazing! 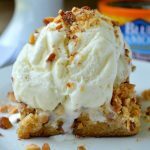 I love that you topped your pie with both ice cream and whipped cream! Perfection! Love shrek!! And I love this pie! There is so much deliciousness going on – I want a giant slice right now! 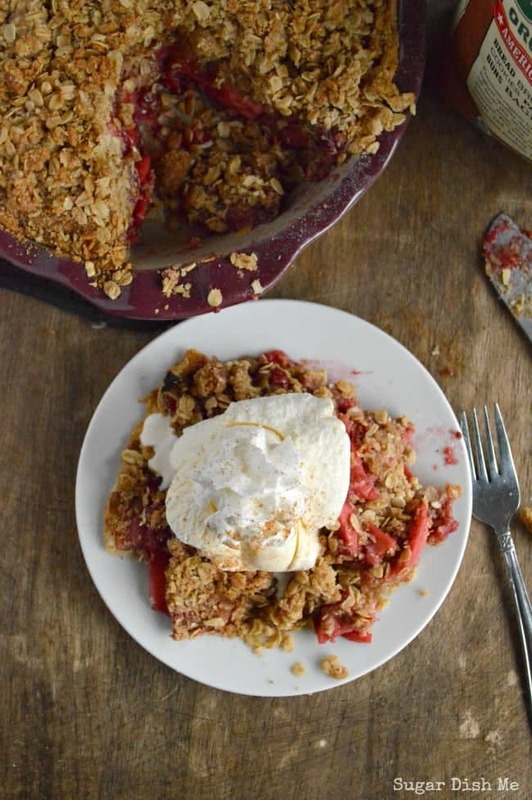 I don’t know if there is anything better than warm, gooey fruit and crumbly topping and vanilla ice cream! This looks SO good, I wish it was my supper tonight! Oh! Supper Pie! Good plan. Haha. I have no pie-slicing patience. So that is what you made with your Bob’s Red Mill flour! It looks and sounds fantastic! I mean oatmeal cookies on a raspberry pie! As in cartoon mode – imagine me smelling the goodness as the wafting aroma lifts me off the floor and floats me to the waiting pie. Thank you Ginny!! I love cartoon aroma floating. It’s the best. Wow! Raspberry and apple pie! That sounds delightful! Love that sweet and tart. Thanks so much Julianne! This looks and sounds heavenly! That oatmeal crumble is calling my name! It sounds amazing!! I could basically eat it all by itself. Thanks Jaren! Mmmm — such a lovely fall dessert!! We always have a ton of raspberries in our freezer, but I never thought to combine them with apples for a dessert like this! Love this idea! Ooooooh. Raspberry Apple Crumble with Bob’s Red Mill Gluten Free Oats. You should totally make that! Thanks Michelle! 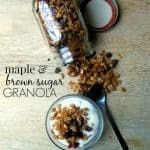 Whole Grains are where it’s at! Thanks Laura! I love your pie. 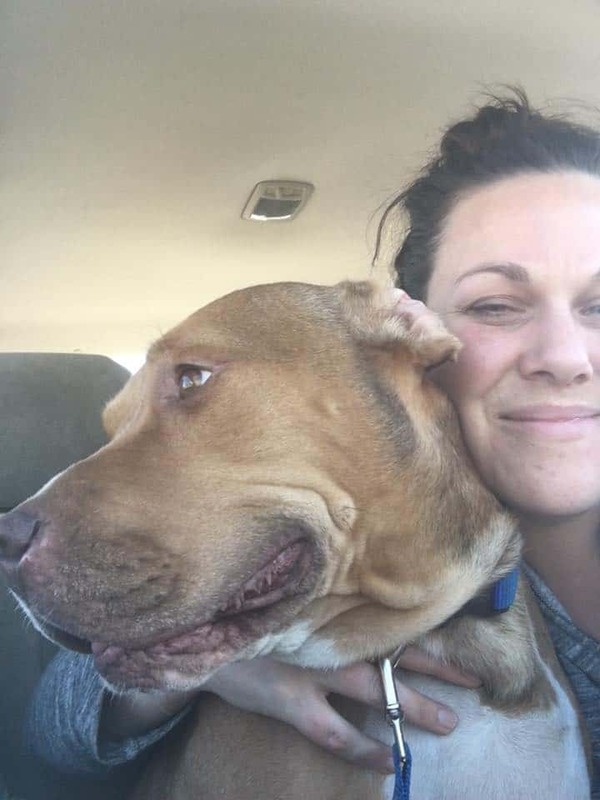 But I really love your pie story!